Streams of water — living water for dying hopes, cool water for parched hearts, refreshing water for those tired and weary. This is, of course, much more than a liquid we can drink with our lips. This is the ultimate water of the soul that God longs to give to us, his children. Let's spend the month of August, refreshing ourselves with the promises of Jesus and trusting that, as we draw close to him, the Spirit will restore our soul. Loving Father, thank you for sending Jesus to save me and the Holy Spirit to sustain and renew me. 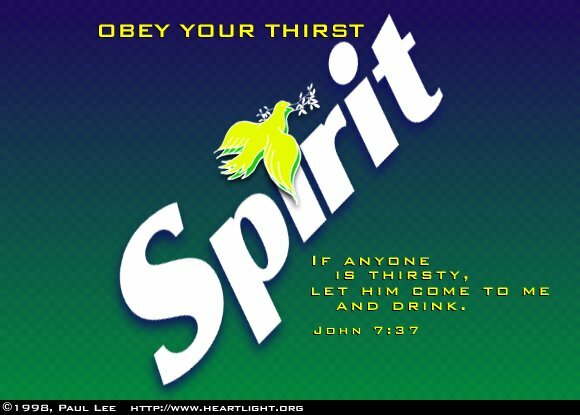 Please bless me, especially this month, as I seek to draw closer to my Savior and restore my soul with the refreshing living water of your Holy Spirit. In Jesus' name I pray. Amen.